Your business relies on your fleet, and the condition of your fleet projects your business image. Do not gamble on commercial auto body repair if your image is important to your business. 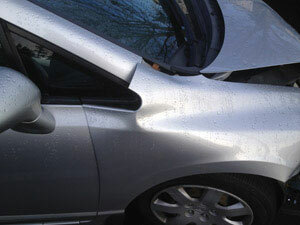 Choose City Center Collision Services as your commercial auto body shop in the Bonney Lake, WA area. We understand the needs of your business, and our commercial auto body shop is fully equipped to handle large and medium-sized vehicles. We have very fast turnaround times to get your commercial fleet back up and running in no time. Rest assured that you will receive the finest quality auto body repair available. Our commercial auto body shop has the technology needed to repair today's complex commercial vehicles. We keep our auto body repair technicians up-to-date through on-going training. When you need repairs from the best commercial auto body shop near Bonney Lake, turn to our pros! Whether it is a minor hood repair or a major collision, we have the experience, expertise, and the facility to complete your commercial auto body repair in a timely and professional manner. We believe in outstanding customer service with flawless auto body repair. We work with all major insurance companies and will help you with your claim. 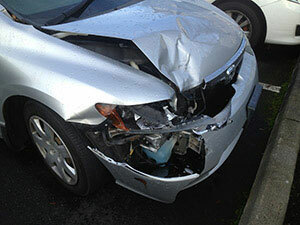 Why Choose Us for Commercial Collision Repair in Bonney Lake? We understand that an out-of-service commercial fleet is a big problem for both the vehicle and the business. That is why our collision repair facility has a significant focus on equipment, people, and quality to ensure your speedy return to the road. Our I-CAR-certified technicians make prompt, professional collision repair to bring your Bonney Lake commercial vehicle back to its pre-accident condition. From start to finish you will enjoy a smooth and hassle-free collision repair service. To know more, or to schedule collision repair service for your Bonney Lake vehicle, please call City Center Collision Services at 253-948-4655.